THE SIMPSONS season 26 kicks off tonight! THE SIMPSONS: The town of Springfield is shocked when Krusty announces his plans to retire from show business in the all-new “Clown in the Dumps” milestone season 26 premiere episode of THE SIMPSONS airing Sunday, Sept. 28 (8:00-8:30 PM ET/PT) on FOX. THE SIMPSONS ™ and © 2014 TCFFC ALL RIGHTS RESERVED. 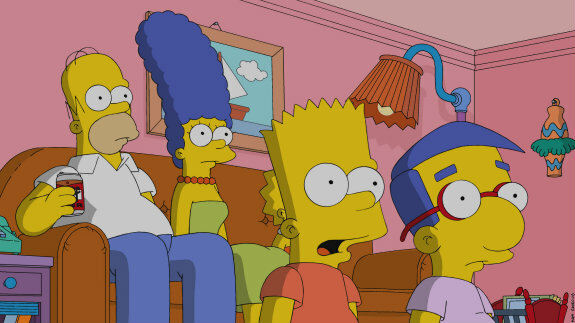 THE SIMPSONS at Comic-Con: Watch a Season 26 Clip! THE SIMPSONS’ twenty-sixth season kicks off tonight at 8 PM on Fox.